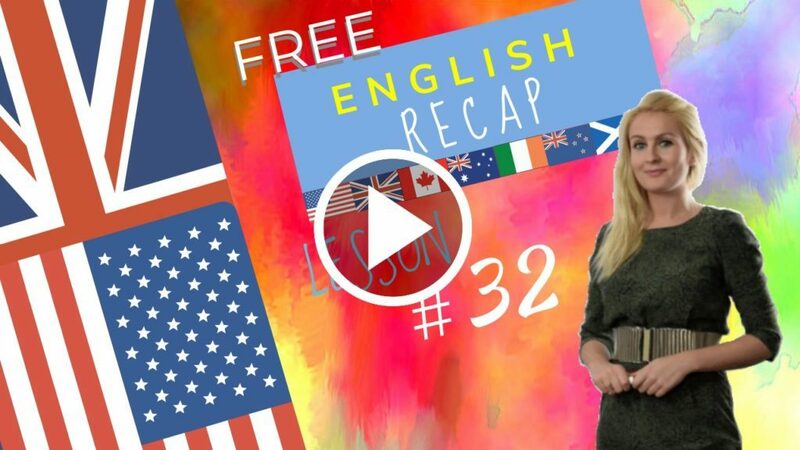 HomeEnglish courseIrregular Verbs in the simple past explained in English Lesson 32. March 18, 2018 julia English course Comments Off on Irregular Verbs in the simple past explained in English Lesson 32. This English explains Irregular Verbs in the simple past or past simple. Below you will see the infinitive, the simple past or past simple and the past participle (which we will use to create other tenses. – They can also be used as adjectives).These are Irregular Verbs in the past. Peter is taking the dog for a walk and he leaves the ladies to continue their conversation. Did you like the food, Jeanne? I liked it very much. Before I came to England I thought English food was not good. I knew that English people ate to live and others lived to eat. English food is not so bad. Wherever you go you see fast food restaurants and they are the same everywhere. I ate fish and chips and I must say that I enjoyed it very much. With who did you eat fish and chips? I went with two colleagues from school on Friday. We learned that it is a tradition to eat fish on Friday’s. Which is your favourite English meal, Jeanne; “roast dinner” or “fish and chips”. Neither actually, I love English Breakfast. I told Peter about the breakfast I had this morning. It consisted of: fried eggs, grilled bacon, baked beans, and boiled mushrooms. To be fair he wrote that at the beginning of the last century. Things have improved, haven’t they? By the way, there is a really comprehensive list of irregular verbs and how to pronounce them correctly. Click Here. Below you will see the infinitive, the simple past or past simple and the past participle (which we will use to create other tenses. – They can also be used as adjectives).These are Irregular Verbs in the simple past. Yesterday he went to the cinema. It is gone. / It has gone. This list may be long but good news is that the past forms don’t change! Let’s learn the list, with examples. I recommend you check their meaning in the dictionary too! Let’s learn some common irregular verbs! I want to begin the driving course. He began driving last year. I will buy more fruit. That was bought at the supermarket. I want to catch a fish. I want to choose a dress for the wedding. She chose a red dress. They were chosen by Janet. They will come to visit us tomorrow. She came to visit me yesterday. They will drink that later. He drank the whole 2 litres. They want to drive in the countryside. I love to eat carbs. He will feel better after eating. He felt better after lunch. I want to find a flat in this neighbourhood. This is the lost and found department. Don’t forget to close the door. He forgot to close the front door. I want to get there early. He has got to be joking! I want to give him a hug! He gave me two invitations. They were given to me. It will grow in the sun. It grew by a metre. Our homegrown tomatoes are delicious! He kept it in his pocket. We will leave after the movie. He left in the middle of the film. I don’t want to lose my temper. He lost his keys again. They are in the lost and found department. He made these all by himself! We will meet them all at the conference. The protests were met with considerable police force. We paid double what you paid. He read that book twice. The rules were read out to us. She said to delete the recording. It was said to me repeatedly. Who wants to see my new car? I saw the most beautiful rainbow. They were seen leaving the restaurant. He sold his last year. It has a “sold” sign on the lawn. I could sit here for hours. I sat by the fireplace. The cat was sat beside me. Do you want me to speak slowly? He spoke fondly of you. How much do you want to spend on it? I spent two years training for this race. All my money has been spent. Do you like to swim in the river? He swam across the English Channel. She has swum professionally for years. It took him two days to sail across. The photo was taken here. Do you want to teach me? He taught me this rule last week. English is taught in primary schools. He told them all already. I was told not to repeat this to anyone. It is thought that 80% of these businesses will shut in the next year. Do you understand my accent? It is understood that the information provided is confidential. Are you here to win? Do you like to write essays? I wrote several cover letters when applying for jobs. When did the film begin? The film began one hour ago. Did you buy a new coat? Yes, I bought a new coat yesterday. Did you bring your swimming costume? Yes, I brought my swimming costume. Did you catch a fish? No, but I caught a cold. Yes, I broke it by accident. Yes, but I didn’t get drunk. No, but I felt cold earlier. I have always kept secrets. Yes, I knew him at school. Lesson 32 recap with Julia.